Ciel & Terre and D3 Energy completed their first full-fledged U.S. project in partnership with the Orlando Utilities Commission (OUC). The inauguration ceremony announces the largest floating solar photovoltaic system in Florida to date. Compared to rooftop and ground mounted solar systems, Florida is a prime location within the US to install Ciel & Terre’s patented large-scale floating PV technology known as Hydrelio. Ciel & Terre‘s track record with other international projects created a reliable and credible partnership with D3 Energy and OUC. Made in the U.S., the Hydrelio floating array is composed of 100 crystalline photovoltaic panels and will generate up to 51,000 kWh per year. Like Ciel & Terre’s other projects, Hydrelio will allow standard solar PV panels to be installed on man-made bodies of water such as industrial reservoirs, storm water retention areas, dams or irrigation ponds. In this case, Hydrelio® was installed on a storm water storage reservoir located at OUC’s Gardenia facility. OUC was the first utility in Central Florida to build a large solar farm and was one of the first in the nation to offer community solar where its customers can Dzbuy a piecedz of an array on the same Gardenia campus. 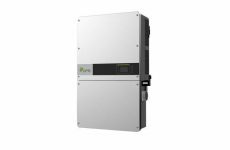 The electricity produced with Hydrelio will serve some of OUCǯs own electrical usage on-site, or put back up into the grid. 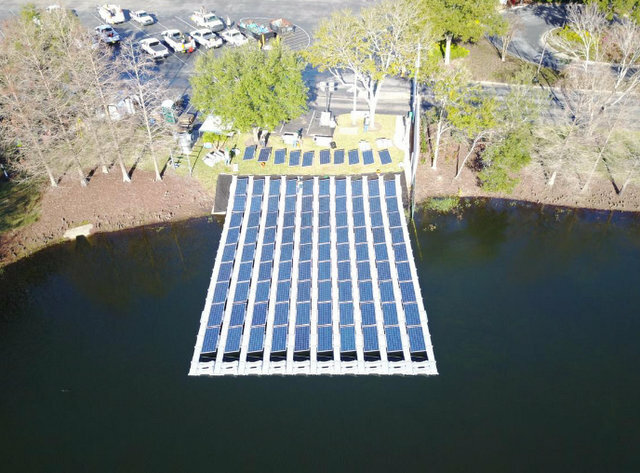 As the first floating array of its size in Florida, OUC will use this project as a benchmark in order to promote more efficient ways to deploy floating PV systems designed by Ciel & Terre at other reservoirs throughout OUC’s service area. A nearly 13-megawatt solar array is under construction now at OUCǯs Stanton Energy Center where OUC also utilizes methane gas from the Orange County landfill to offset coal. 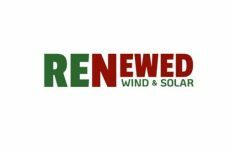 These new developments in turn will make it easier for the state of Florida as a whole to integrate more solar technology. Ciel & Terre is currently working towards reaching a broader and more immersive global scale, with D3 Energy leading the development efforts throughout Florida. 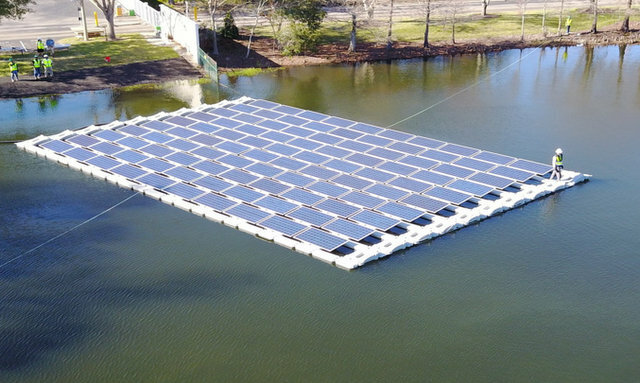 To date, floating solar projects have been implemented by Ciel & Terre in countries including Japan, Korea, China, UK, France, Brazil, Singapore, Malaysia, Italy, and the United States with demo systems in California and the University of Central Florida. With more than 60 MWp of solar PV power production currently utilizing the Hydrelio® system, Ciel & Terre will expand to 130 MWp of floating solar by the end of 2017.